Race Fans! Brad Eddy From #Sackville Invited By Denny Hamlin To A Big Race! | Sack-Vegas!!!! Race Fans! Brad Eddy From #Sackville Invited By Denny Hamlin To A Big Race! How cool is this? 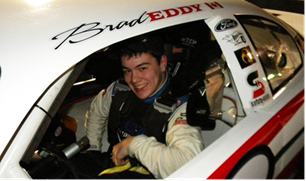 Brad Eddy from Lower Sackville has been invited to compete in Denny Hamlin’s Short Track Showdown April 24 at South Boston Speedway in Virginia. He is going to be trading paint with a few of the big boys from the NASCAR circuit! Check the link below for the entire story. Posted by Sacky on March 16, 2014 in Sacktown Talent.